Omega-3 fatty acids found in fish oils and flaxseed oil have been recommended as supplements for people with bipolar disorder. 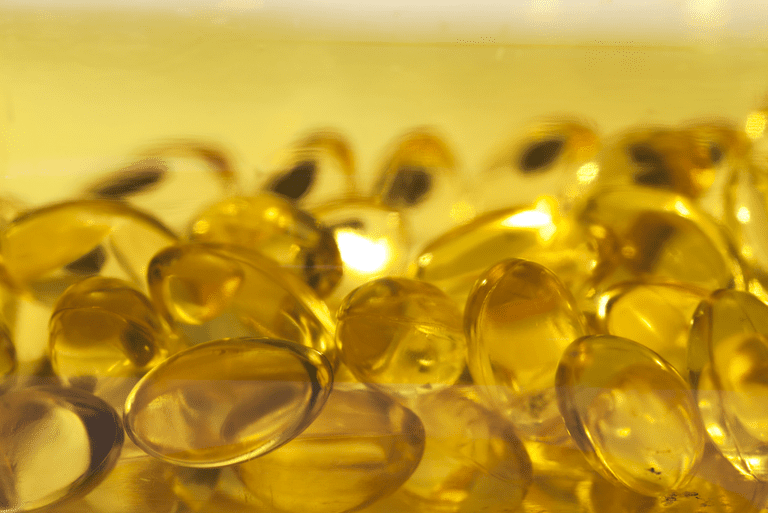 These are posts written by members about their personal experiences with using the nutritional supplement Omega-3 in the treatment of their manic-depressive illness. Please be aware that material contains the personal experiences and opinions of consumers and in no way should be construed as medical advice. Material may have been edited by the Guides for spelling, grammar or clarity. I have been taking omega-3 fish oils at 6 grams/day for approx. 2 months. I have not yet noticed any effects positive or negative. I'm considering increasing to 10 grams/day as my psychiatrist informs me that seems to be the more beneficial range if I can tolerate the gastric side effects. I have been using fish oil and Melatonin for several months and the fish oil really works. My loved-one was taking fish oils and it seemed to work for him. I haven't bought any for about a month and I have seen my loved-one go down hill. I think I'll buy some more. It really seemed to help. I have started taking Omega-3 fish oils to help me with my bipolar disorder. I am currently taking a total of 9000 mgs per day broken up into 3 doses. I found out about them from a doctor here in Massachusetts at one of the country's leading psychiatric facilities, McLean Hospital in Belmont, Ma. I wanted to try something different since I was having no luck with the different meds I was taking. My doc says we will just see how it goes. I've been taking 6000 mg of fish oil (3 pills am and pm). As far as I can tell, the fish oil (after about 2 months) seems to control my hypomania pretty well. It seems to have the same effect as the Tegretol I was taking - that being it flattens out my highs. I still have a lot of problem with depression though. Another added benefit of the fish oil is cost ... I think you can't beat the price. I have Medicare and have to pay out-of-pocket for all my meds. I also seem to have no adverse side effects with the fish oil (upset stomach or bowel problems - some folks do). Just got my copy of Bipolar Network News newsletter from the Stanley Foundation. June 1999 issue. An article on page thirteen reads as follows: "The role of omega-3 fatty acids is also beginning to be studied in adults with bipolar illness. As reported in the last issue of BNN ... omega-3 fatty acids (9 grams/day) were superior to an olive oil placebo in stabilizing mood when used as an add-on-treatment. Recurrent bipolar depressions were particularly reduced. Further clinical trials in large numbers of adult subjects are exploring this promising approach, which has few serious side effects. Data on efficacy and side effects are not yet available in children." My understanding is that the people in a study at McLean are on 9.6 grams/day but they are not using the Omega-Brite brand. They are using some type that is especially made for their study and it cannot be bought by the public. I am very hesitant to say any amount in case I have this wrong so everyone reading this should do their own homework. I think there are 2 trials going on right now. The McLean trial will not be completed for 3 or 4 more years. In the book The Bipolar Child the dosage mentioned is 2 grams. It says... "Parents on the BPParents listserv have reported some good results with 2 grams of omega-3 supplements daily - their children seem more even-tempered." It also says... "It is recommended that fish oils be taken with supplements of antioxidants to prevent the oxidation of the extra omega-3 going into the body; 400 IU vitamin E and 600 mg vitamin C should take care of this." REMEMBER, this is a book about children with BP and the page # is 109. It also says do not use cod liver oil because it could be toxic in large doses. I did a paper in biology about Dr. Stoll's (et al) original study and found numerous flaws in that study. I hope that he has tighter controls for this new one. In any event, it's important to remember that omega-3 is not a "miracle cure" and that it's best used IN CONJUNCTION WITH YOUR OTHER MEDICATIONS. This has been stressed very clearly in everything I've read on the subject - omega-3 has not been proved effective monotherapy. In fact, nothing has been proved yet. Just that there seems to be strong evidence to support mood stabilization and we all know how hard that is to achieve even with meds. The one best argument so far for using it is that even in large doses omega-3 is non-toxic therefore it can't hurt and may help. But, as always, make sure your pdoc knows what you're taking, how much and how often. I am also taking fish oil, but I think I'll try flaxseed oil. My doctor said either one is good, but I seem to taste a fishy taste sometimes.